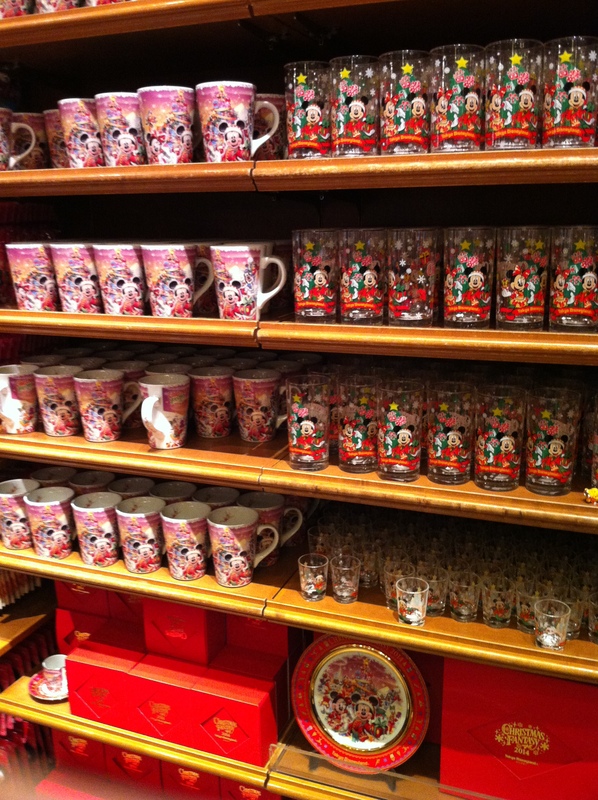 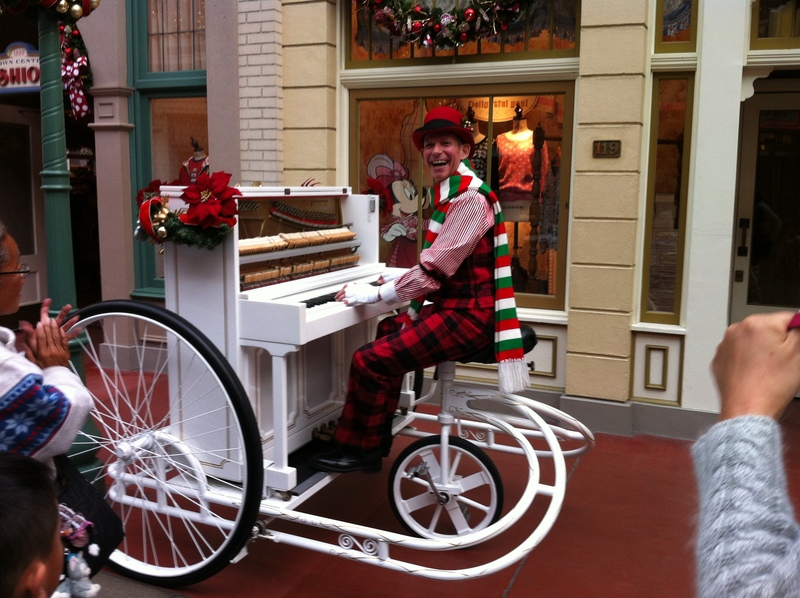 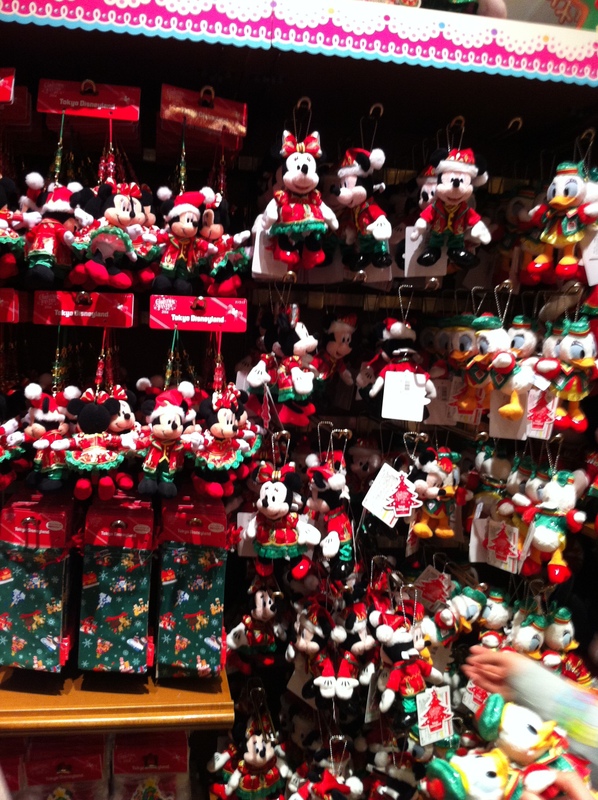 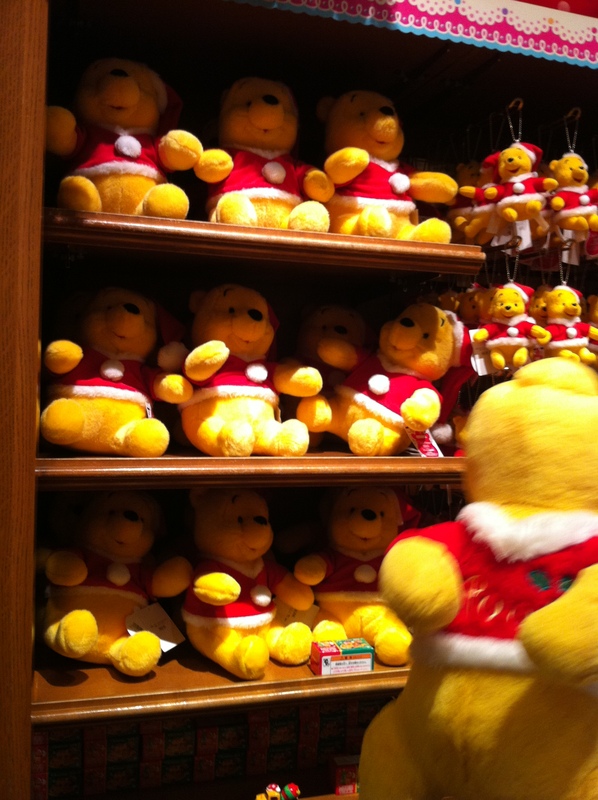 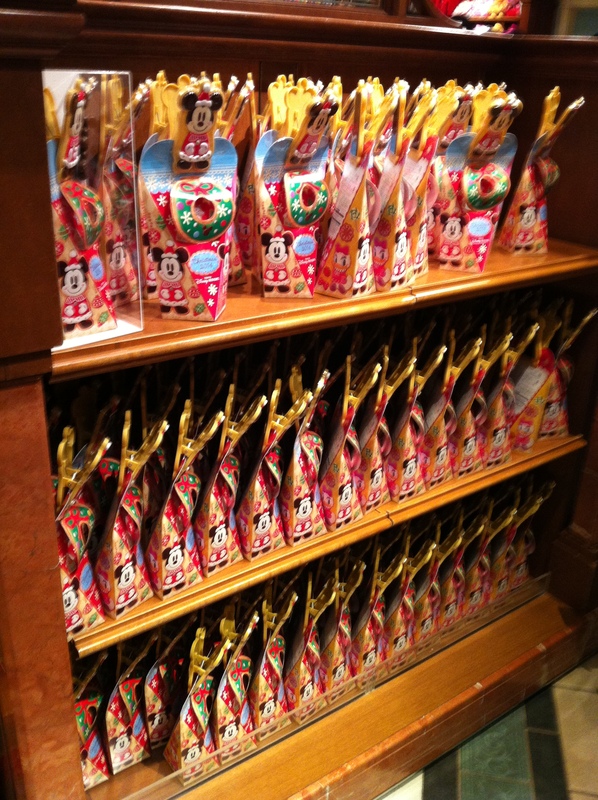 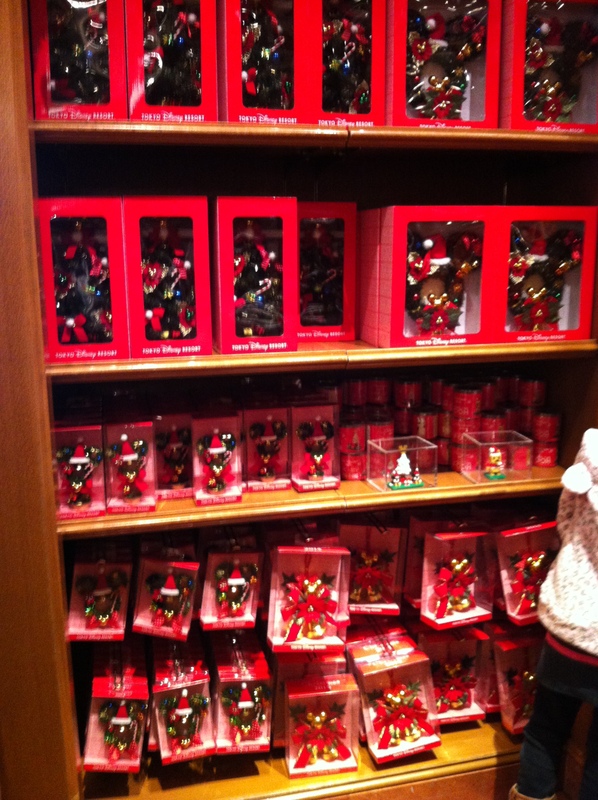 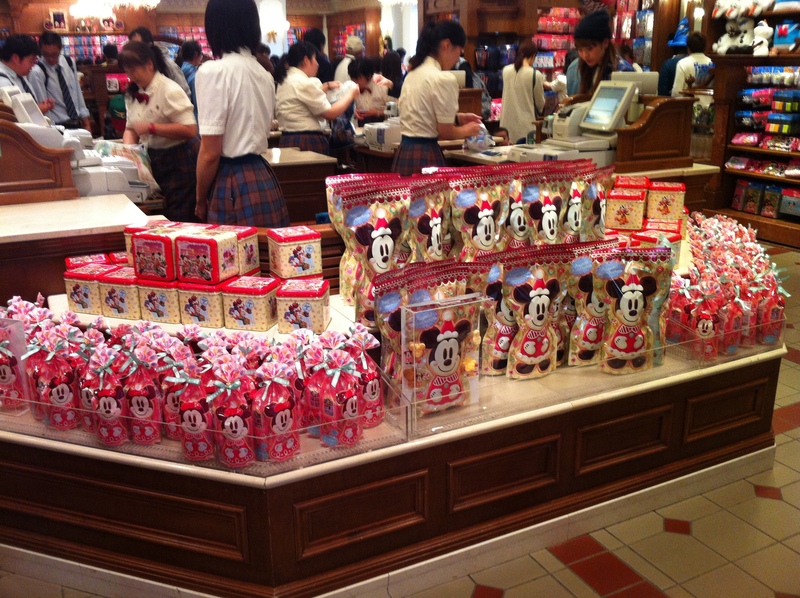 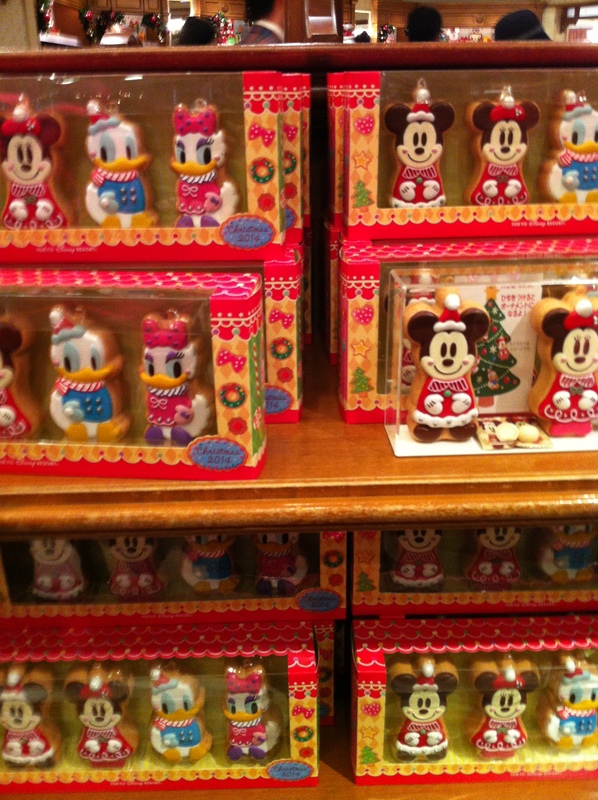 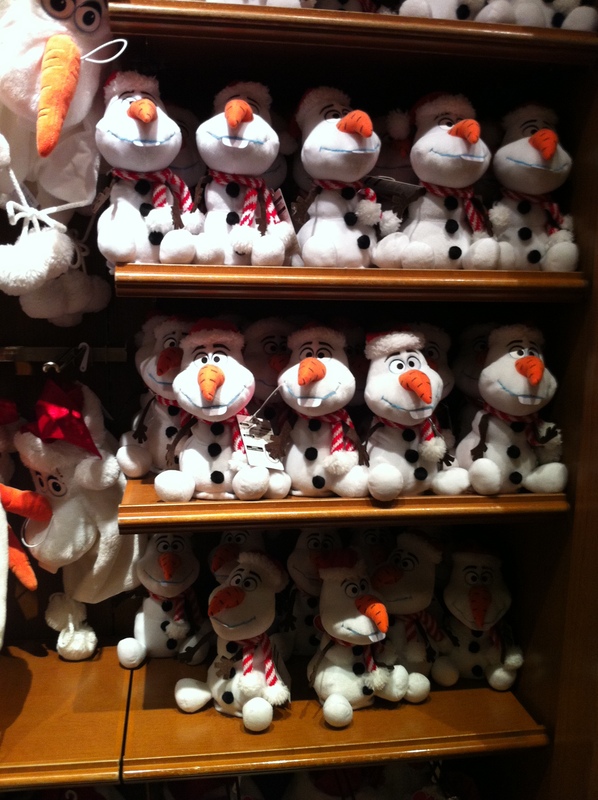 In my last post, I wrote about the edible Christmas treats at TDR. 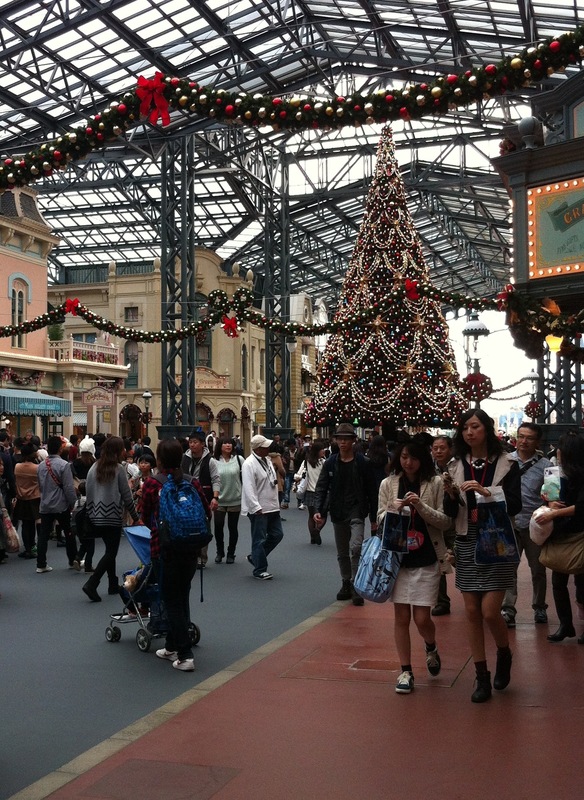 Of course, there is more to Disneyland and Disneysea than just the food (although the food is one of my favourite parts!). 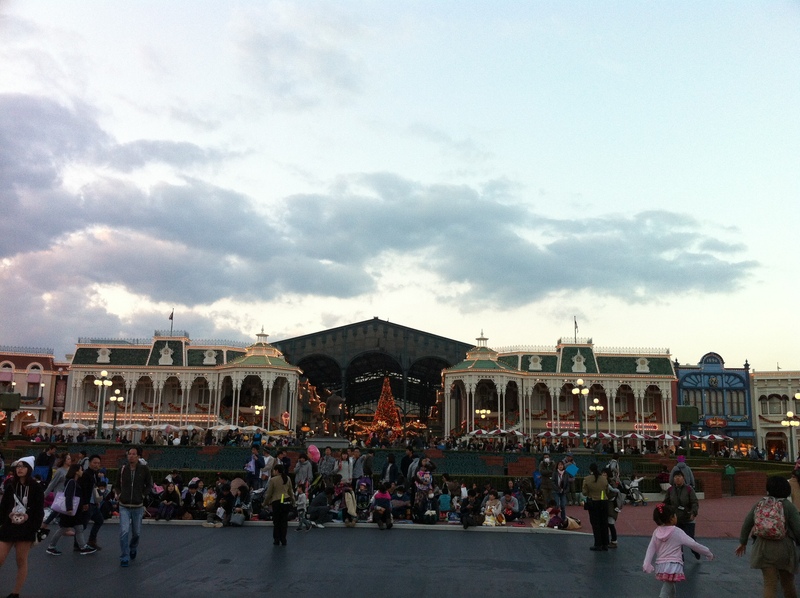 The effort that goes into making the parks a beautiful place is astounding. 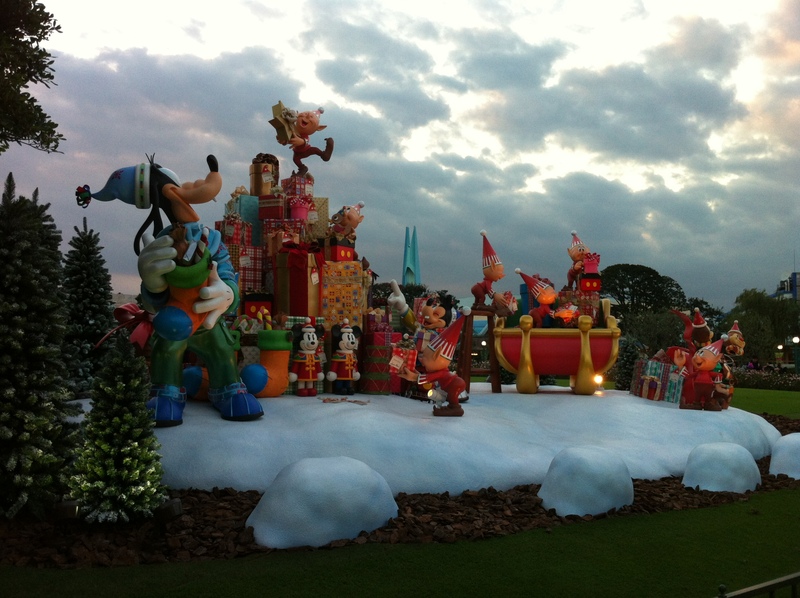 I’m not sure how they can go from having the parks covered in Halloween decorations one week, to being decked out for Christmas just seven days later, but somehow they manage to pull this off and this year I got to witness it! 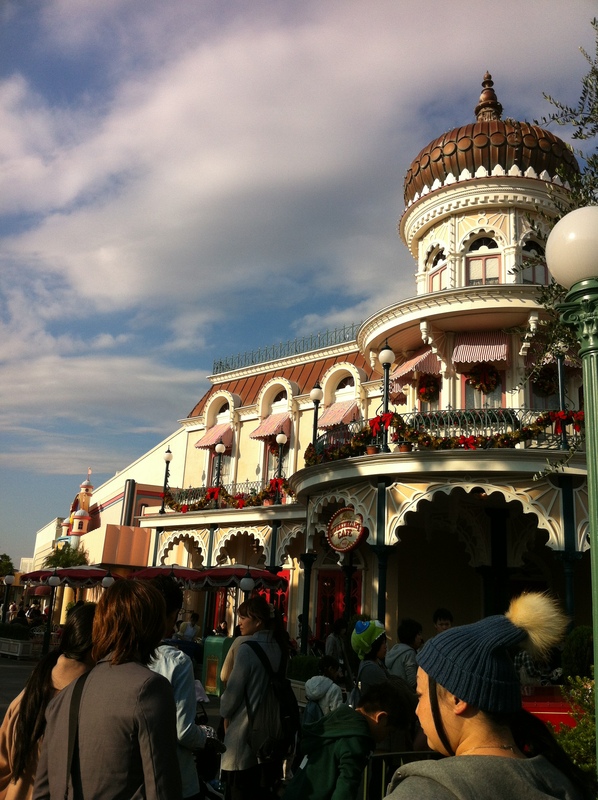 Sweetheart Cafe dressed up with Christmas decorations. 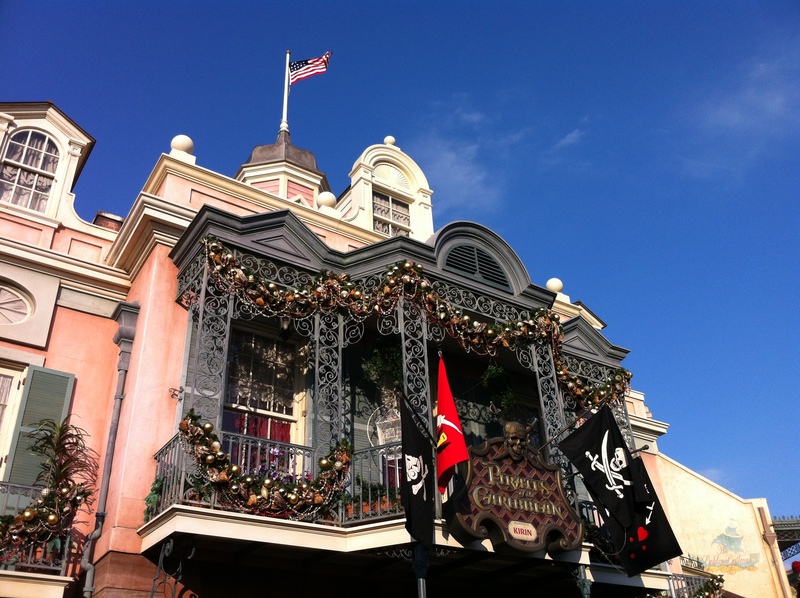 Decorations on the Pirates of the Caribbean ride building. 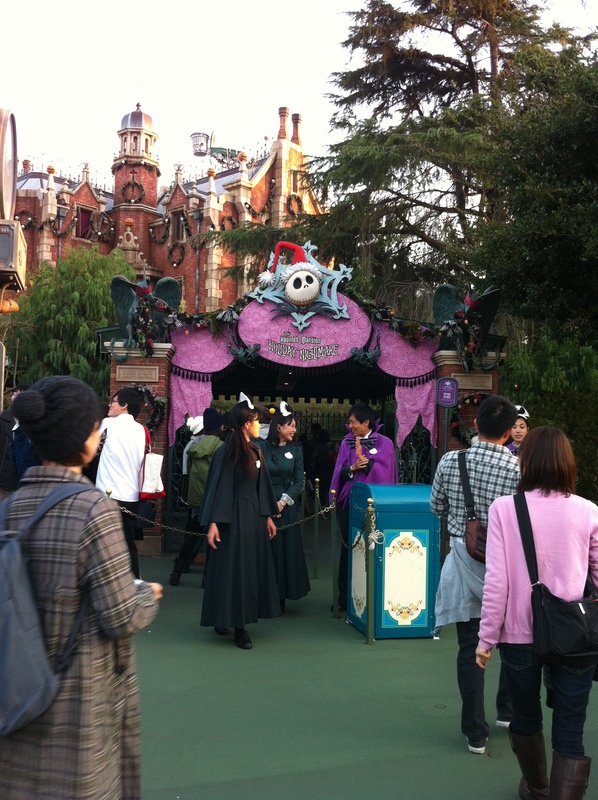 Jack Skellington wears a Santa hat outside the Haunted Mansion ride. 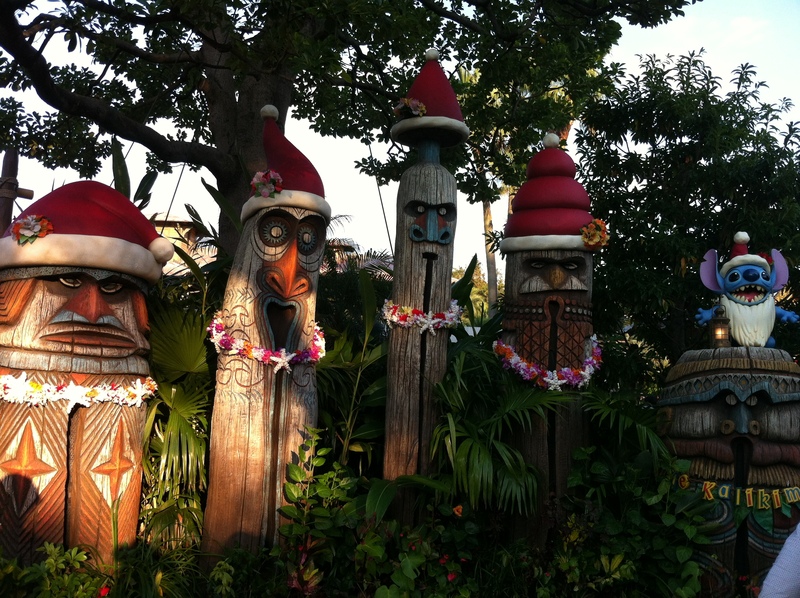 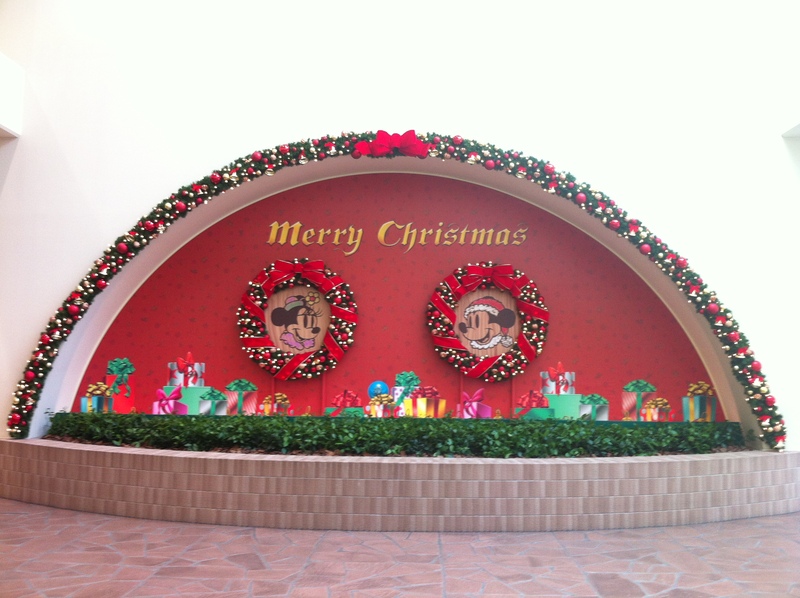 Christmas decorations on the It’s A Small World ride. 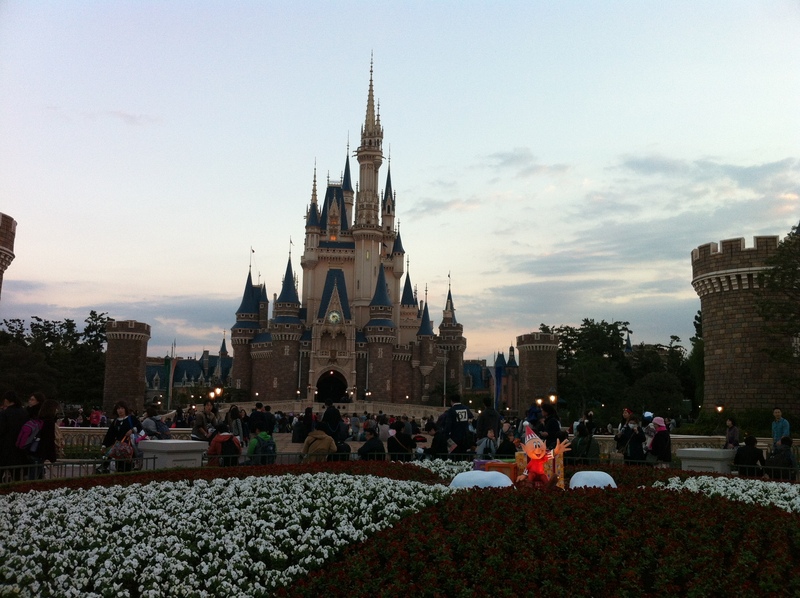 Cinderella’s Castle itself didn’t have any Christmas decorations on the first day of Christmas (7 November 2014). 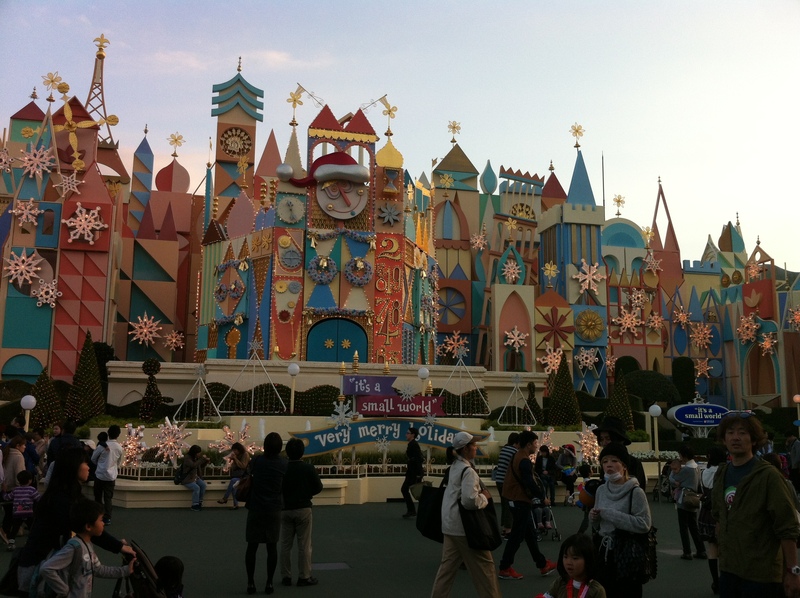 Perhaps the castle gets decorated a little later – I’m not sure. 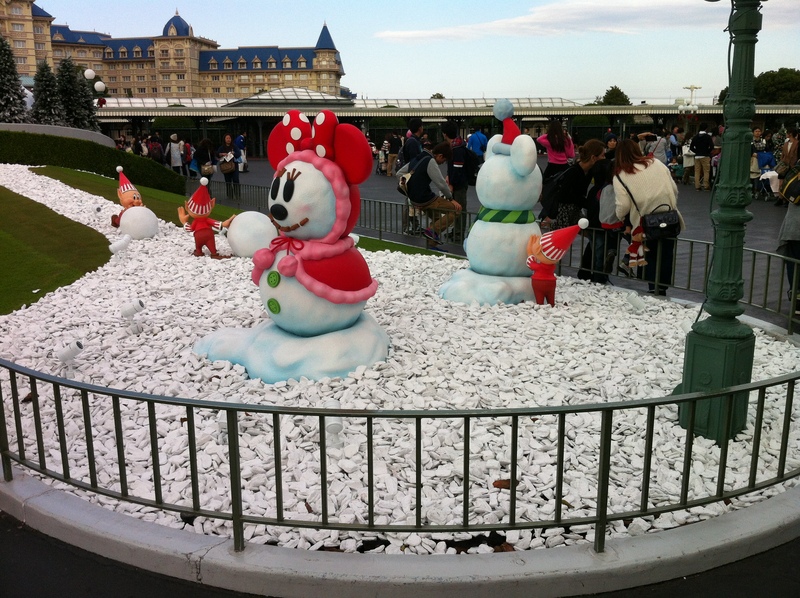 There were plenty of decorations around the rest of the park. 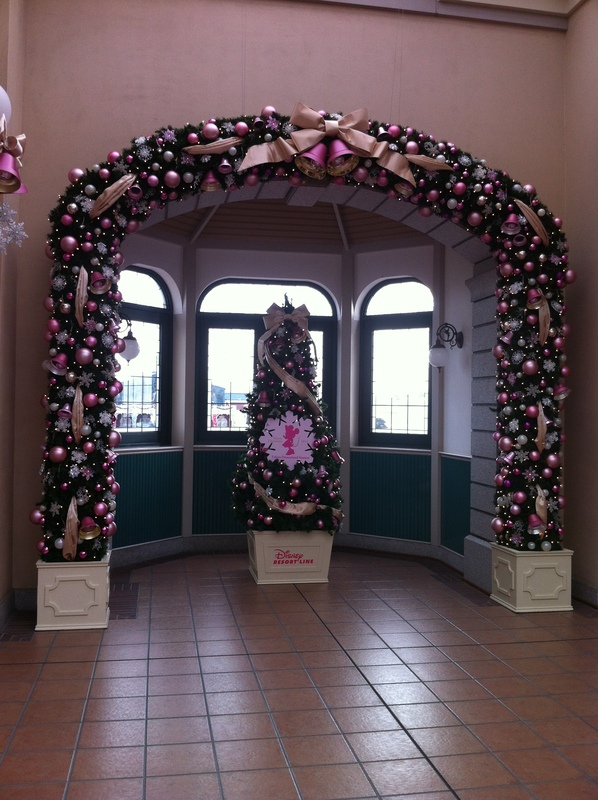 Even the Christmas wreaths incorporate Disney. 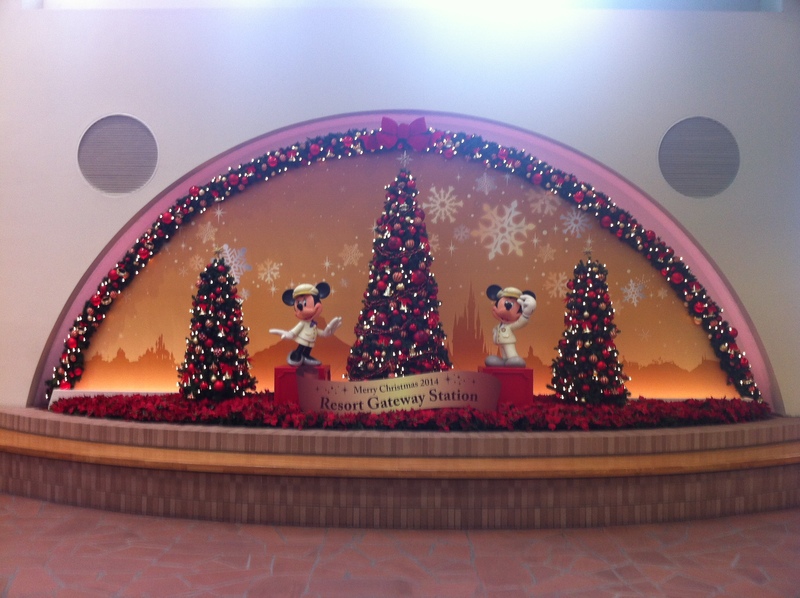 Note the Mickey Mouse ears on this one. 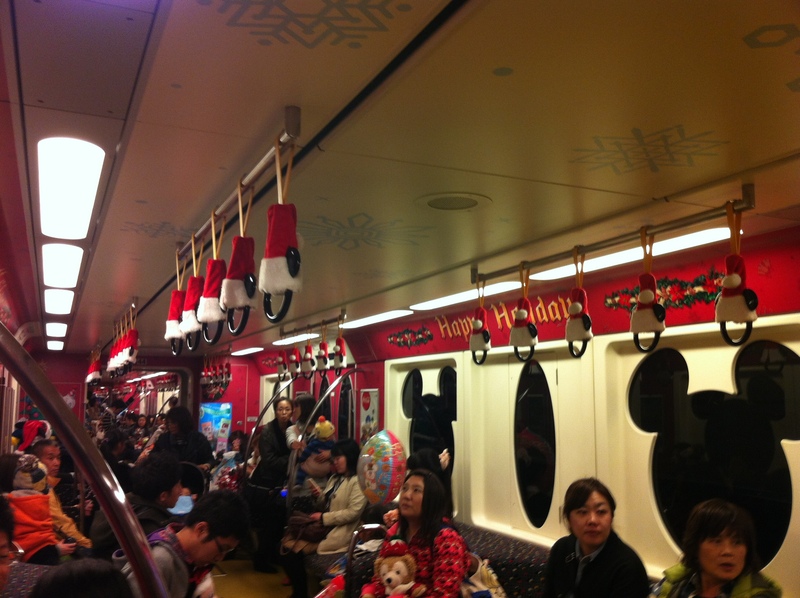 Some of the monorails are decorated for the Christmas season. 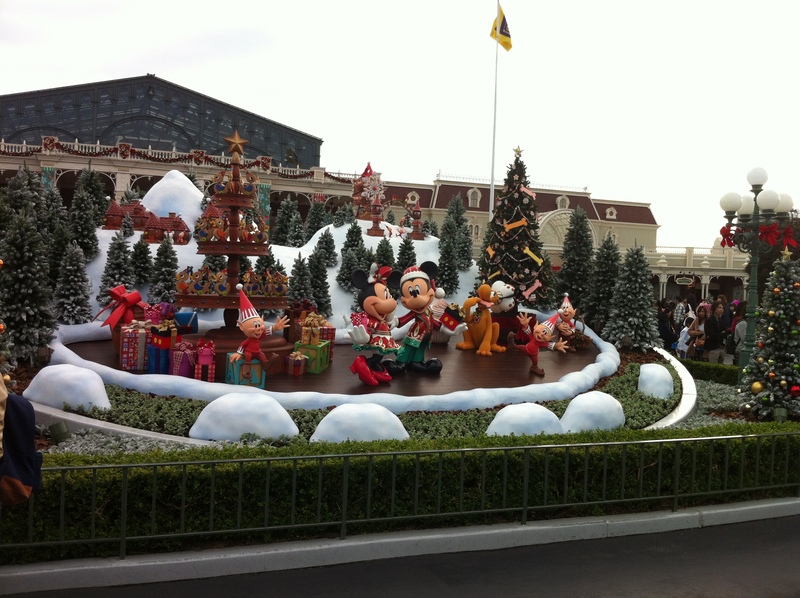 You can see the DIsneyland Hotel in the background all decorated with Christmas lights. 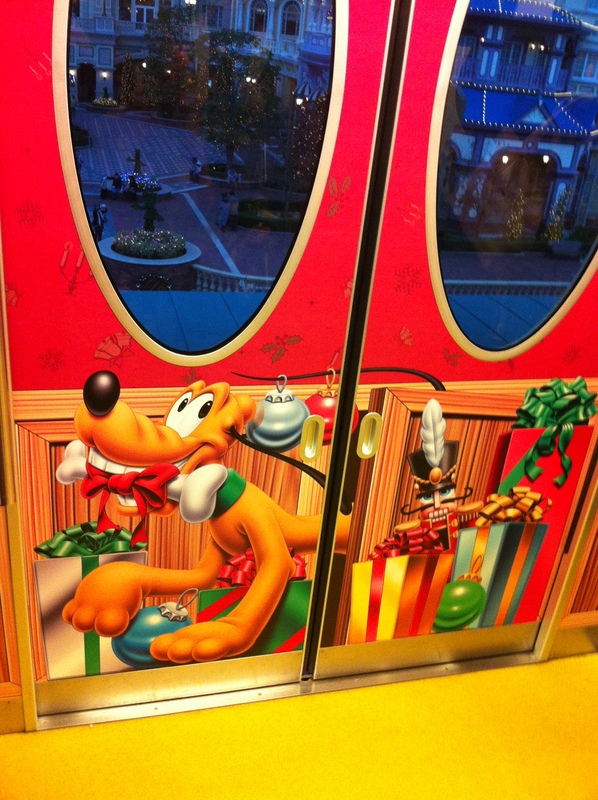 Even the handles have Santa hats! 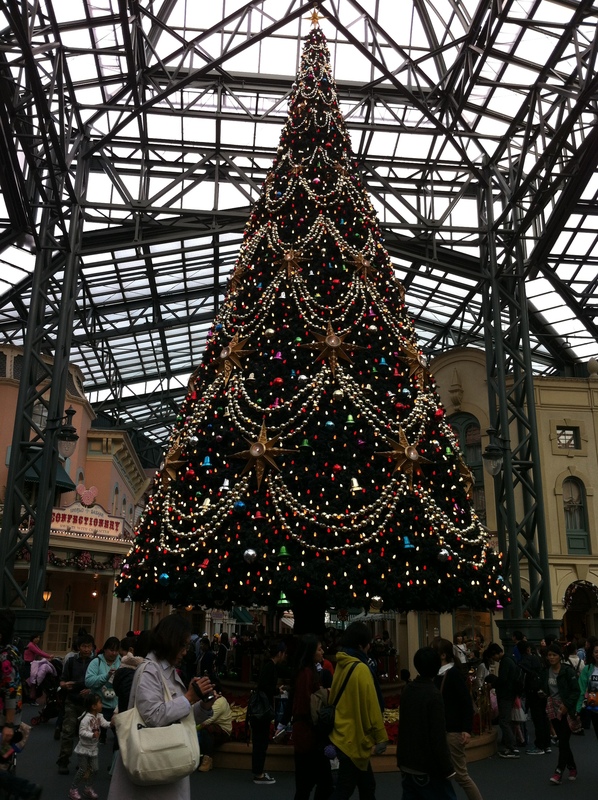 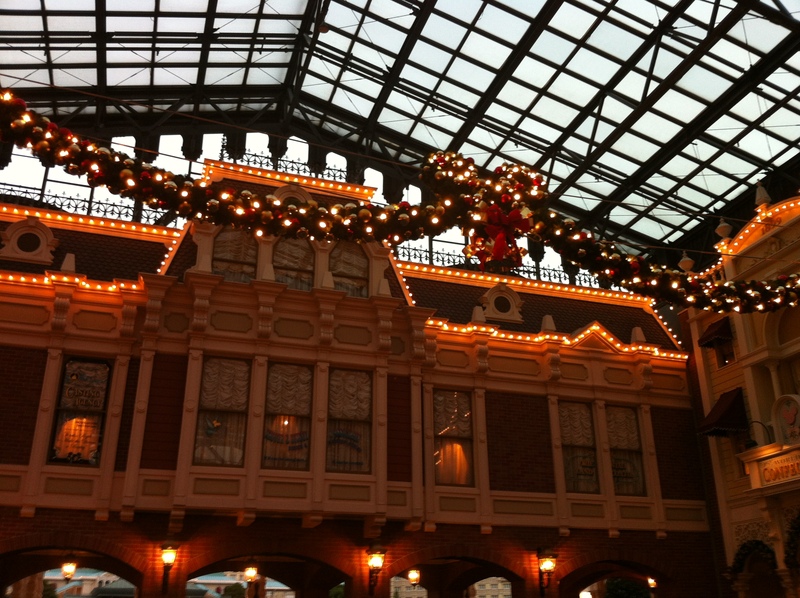 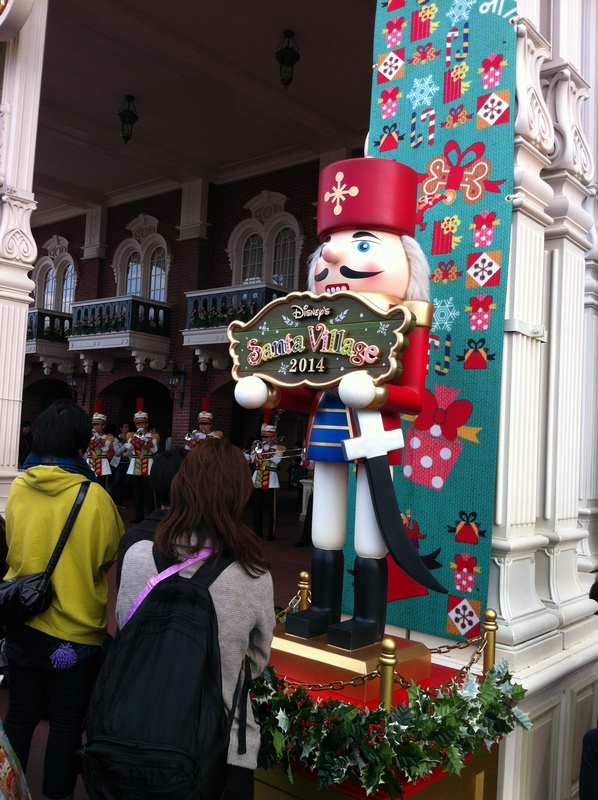 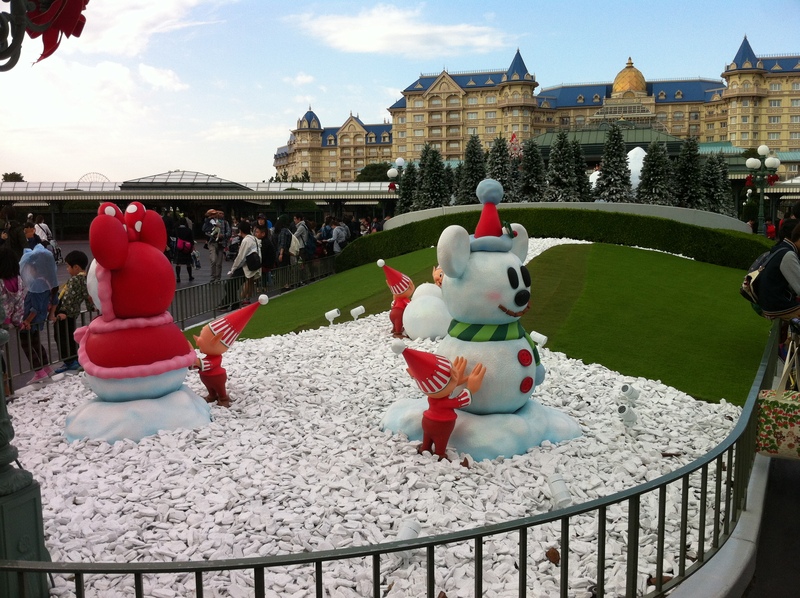 In my next post, we’ll hop off the monorail and explore Tokyo Disneysea’s Christmas Wishes 2014.